WellFlorida Council is excited to announce the new website launch for HIV Care Programs, an optimal resource built to educate the public about healthcare and support services for people living with HIV in North Central Florida, HIV prevention and how to stay healthy. The website is the product of a partnership among WellFlorida Council, Ryan White HIV patient care providers in Area 3/13 and the North Central Florida CARE Consortium. The partnership helps provide primary healthcare and support services to low-income persons living with HIV. Ryan White, a federally funded program that offers HIV-positive persons assistance with services not covered under other programs. Its services include HIV medical care and medications, mental health and dental services, insurance medication co-pays, peer navigation, transportation and medical case management. The Housing Opportunities Program, also known as HOP, assists HIV-positive persons with temporary assistance for their housing needs and to prevent homelessness. HOP services include housing case management, budget counseling, rental payments, mortgage payments and utility payments. The AIDS Drug Assistance Program (ADAP) helps HIV-positive persons stay healthy by assisting with the purchase of HIV prescription medications. The program provides HIV drug treatments for people who do not qualify for Medicaid, are awaiting Medicaid eligibility or cannot afford to purchase medications. These HIV Care programs are available to any HIV-positive persons who meet the financial requirements and are a resident of one of the following counties: Alachua, Bradford, Citrus, Columbia, Dixie, Gilchrist, Hamilton, Lafayette, Lake, Levy, Marion, Putnam, Sumter, Suwannee or Union. 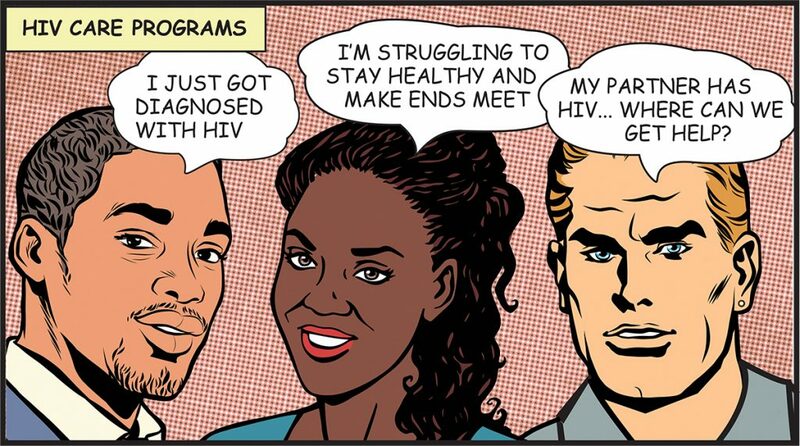 For more information about the programs and services available, please call 1-866-901-9646 or visit https://hivcareprograms.org/. Downloadable brochures in English and Spanish are also available on the “Programs” page of the website. The website and brochures are sponsored by WellFlorida and the Florida Department of Health.